OCT 22 (WTN) - The Samajwadi Party, which performs well in the Madhya Pradesh assembly elections in 2003, is trying its best to open its account in the assembly elections this time. The performance of the Samajwadi Party in the last assembly elections was poor and party could not win a single seat. Forgetting the old defeat, the Samajwadi Party's national president Akhilesh Yadav is now trying to strengthen the Samajwadi Party in the Madhya Pradesh. It is being said that this time, Samajwadi Party is going to contest in the Madhya Pradesh assembly elections with its ‘full strength’. 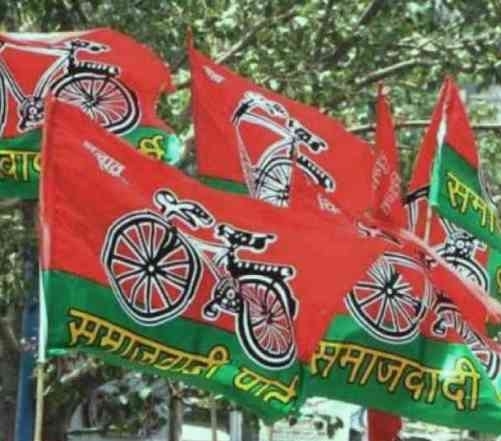 According to information received from the media, the Samajwadi Party is preparing its list of candidates in Lucknow. For your information, let you know that for the Madhya Pradesh assembly elections, the Samajwadi Party has declared a total of 9 candidates, including the names of the state president and the former president. It is being said that candidates of Chhattarpur and Tikamgarh district candidates, adjacent districts of UP, will be announced in the next list. The SP, a big political player of UP, has so far declared 9 candidates in two installments in Madhya Pradesh. National President of the party Akhilesh Yadav has claimed all the applications to Lucknow. According to the information, the state unit has sent nearly 600 applications to Akhilesh Yadav. For your information, let you know that in the next week, Akhilesh Yadav can announce some candidates from Chhatarpur and Tikamgarh districts on the Chhattisgarh tour. It is being said that due to delays in the list of SP candidates, there may be a possible 'friendly fight' with the BSP. For your information, let you know that a few days ago, SP President Akhilesh Yadav has clarified that there will be no alliance with Congress in the Madhya Pradesh assembly elections but it is being said that at the time, the SP can make alliance with Congress. This is because Akhilesh Yadav had said in Chhattarpur a few days ago, “If any Congress leader will not receive ticket from the Congress, then he will come to the Samajwadi Party and the party will give him the ticket.” It is being said that in this election, the Congress doesn’t want to take any kind of risk, hence there should not be polarization of anti-BJP votes, in some way the Congress has opened the door to alliance with the SP. It is also being said that the Congress has not released its list only if it is alliance with the SP then it will be given some seats. In some of the by polls in the UP, the BSP, SP and Congress combine had defeated the BJP candidate, after which it was believed that in Madhya Pradesh, these three parties would fight together to prevent the polarization of anti-BJP votes, but till now, in the event of no alliance between the three parties has not been possible. While the BSP had accused some leaders including Digvijay Singh for not being a coalition, the SP had said that the Congress was responsible for delay in discussions not being in the alliance. But now it is being said that even if there would be no alliance between the Samajwadi Party and the BSP, but they will compete friendly. The performance of the Samajwadi Party in the last assembly elections was quite poor. In the last assembly elections, the SP contested in 164 seats but could not win a single seat. The security of 161 SP candidates was seized. SP got 1.20 percent of the votes in this election. Prior to that, the SP could win one seat in the assembly elections held in the year 2008, but the SP won seven seats in the 2003 assembly elections. This time, the Samajwadi Party is doing its best efforts to take advantage of 15 years of anti-incumbency against the BJP to win some seats.